We do use affiliate links in our posts. If you would like more information, you can go read our full disclosure policy. In the past two years, our home has been up and down with people living in it, specifically the children. 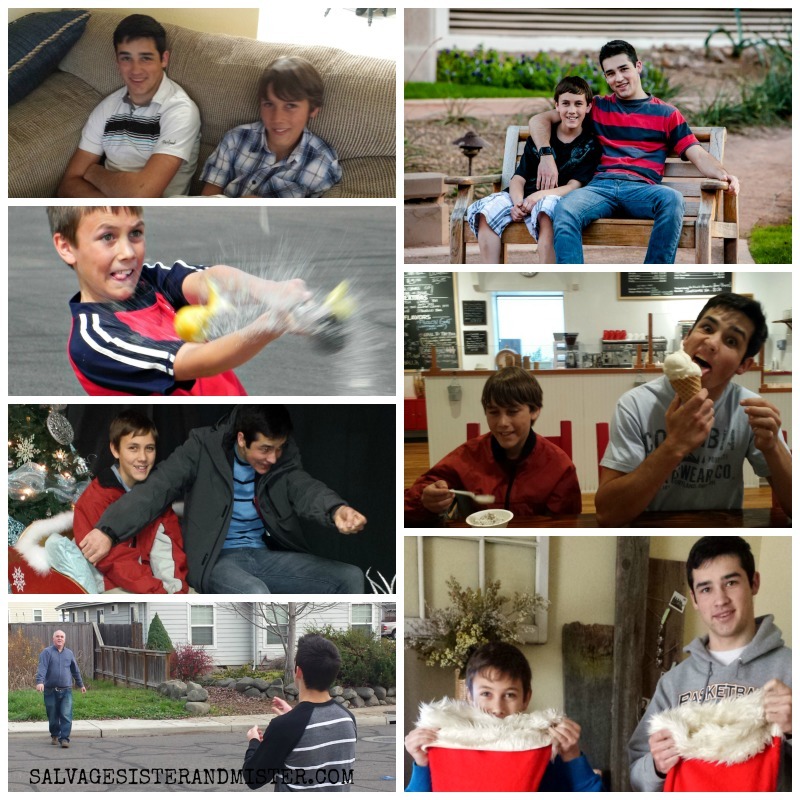 It’s been interesting, exciting, heartbreaking………well basically an emotional roller coaster! Each boy has always had his own room. We had intentions on leaving their rooms as is however an office/project area is very much needed as the blog becomes a career. These are just a few of the reasons to pack up and move….the room not our home. The decision was made to combine both boys rooms into one. 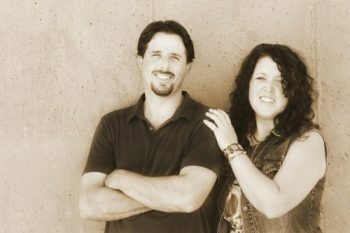 It will be setup to have one, or both boys, home at any given time while acting as a guest room. And the other bedroom will become SS&M Headquarters. Now, here is what’s funny about this change…… converting the bedroom to a home office will change several rooms. We felt a little like the, If You Give A Mouse a Cookie book. Or maybe the Dry Bones Song, the foot bone is connected to the ankle bone. Changing the now office, meant a change to that “family”room- a reading room???? Converting the bedroom to a home office. Taking sun room/craft room into home office so all supplies are in one area. Changing some shelving in the garage to accommodate craft room paint. Moving home decor supplies into home office area. Basically, it’s a musical chairs of home decor around here.What is that like 4 room changes? 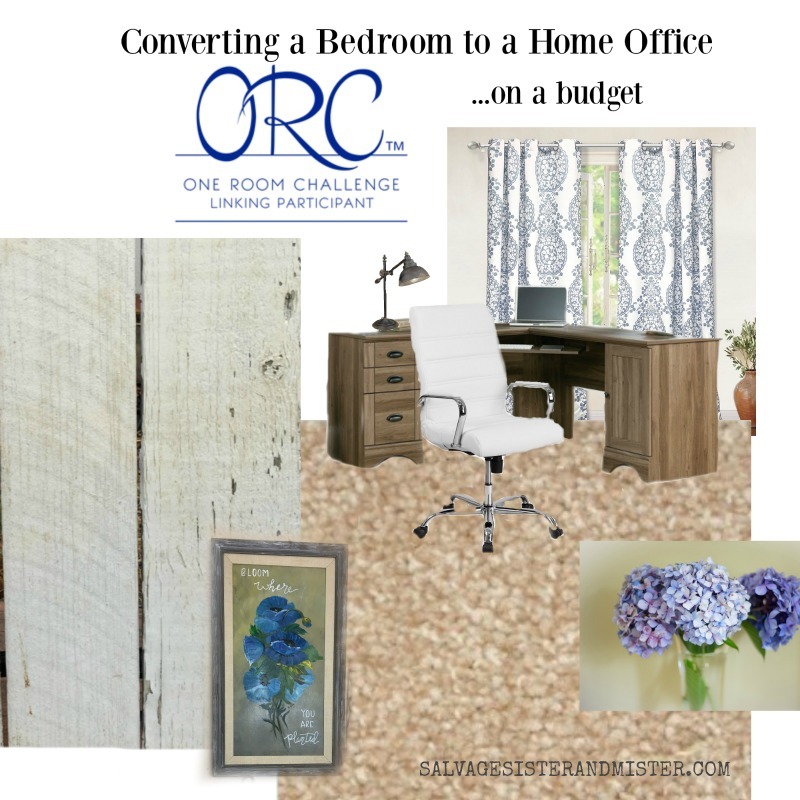 But for this One Room Challenge, you will see the converting bedroom to home office process. The others will follow so be sure to sign up for our newsletter to follow along. On one hand it will be sad to complete this challenge, but there is a certain reestablishment that can be exciting. We hold unto that excitement through the tears of change. The bedroom is now ready for it’s new life and for ours. *If you would like more information on our Salvage Design Services, where we can design a room board for your home, visit our design page. Can’t wait to see what you do! And I totally get where you’re coming from! It’s so hard to let go of your kiddies room as they were. I’ve done it twice now and still feel sad about it. But then think this is the next stage of life and life’s fun adventures! For sure Sam. If it was under different circumstances but it is what it is. Looks like a great project! Even with all of the emotions it brings up. I’m excited to see what you do! My room plans always effect other rooms too. Can’t wait to see your home office! Can’t wait to see the “after” pics with everything put together from your inspiration board. I love seeing these “One Room Challenges”, great motivation to do DIY projects around the house. Hopefully we can inspire you mary. Change is always good. It seems there has been a lot of that going on in your life and this new office will be a great refresh for you and your business! We can’t wait to follow along! Yes, change is good even when it’s hard. I’m excited for this office space. Can’t wait to see the final room. Deborah – I love that analogy of the “If you give a mouse a cookie” – that is so true! But I have to admit that I am a huge redecorranger and always switch things up! So glad to be on this ORC with you! Can’t wait to see the amazing things you do in this room! haha…love that “redecorranger”. 🙂 It’s a fun challenge isn’t it! I look forward to following along! 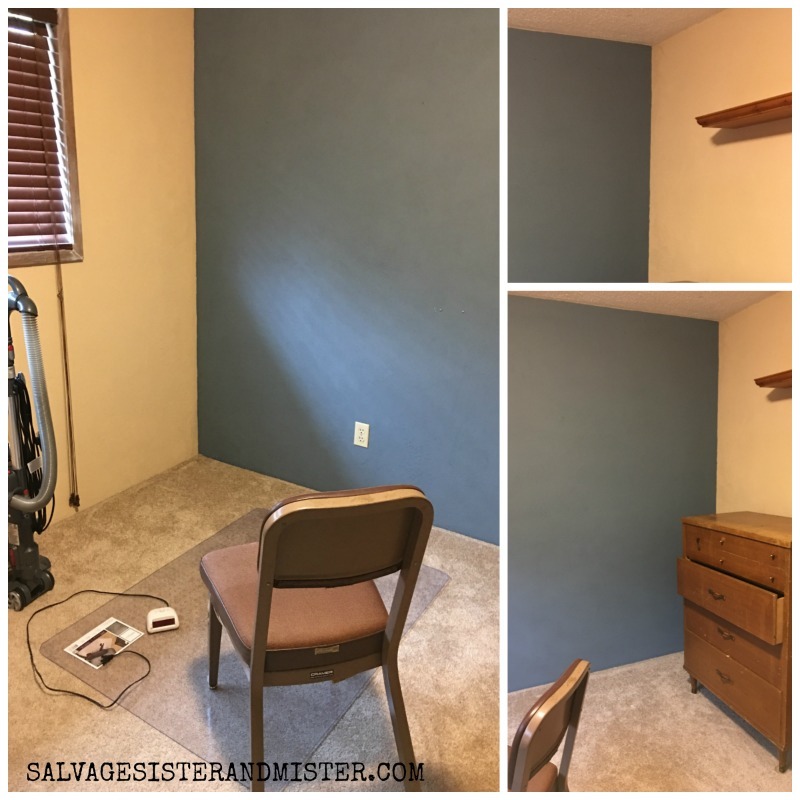 It is hard to makeover rooms when kids leave home…I cried and cried when both of mine left home. Sending good vibes your way! We’ve got a lot of “if you give a mouse a cookie” going on over here too. Wishing you all the best getting all your spaces together and looking forward to seeing you finished office!